I found this old Empire dresser for only $15. It stunk and had a missing drawer. I thought I could save it from the dump. 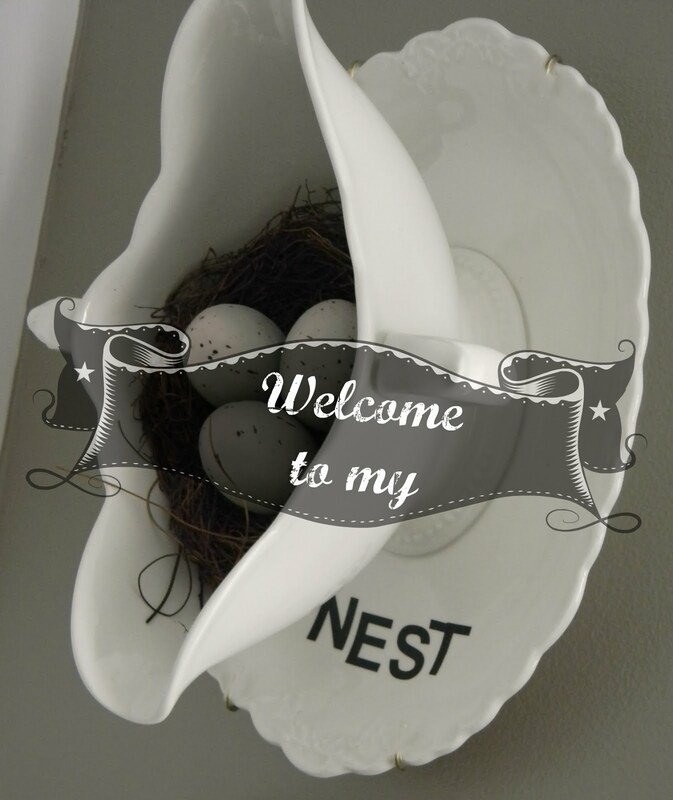 I brought it home to Hubby saying that it should go in the burn pile! I had a feeling that he might be right on that statement! I washed it to get the grit and grime off and it still smelled of rat poo! I aired it out in the sun for days. And I found it was full of worm holes. Yes, it was bad...almost too bad to save. But I had sent a picture of it to my Son and DIL and said that if they liked it, I was willing to do the work. They liked it and I was then on the hook for fixing it up. I had to rebuild the sides where most of the worm holes were. Hubby helped me rebuild each drawer with new bottoms and the back of the dresser was missing some wood that we replaced. 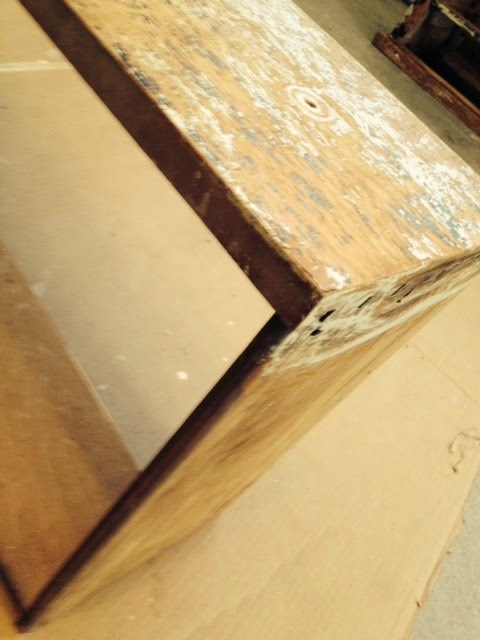 I then had to use shellac to seal the inside and outside from the lingering smell. But before that, I sanded, and sanded and SANDED! This is about the time that I knew I really loved my Son and DIL! 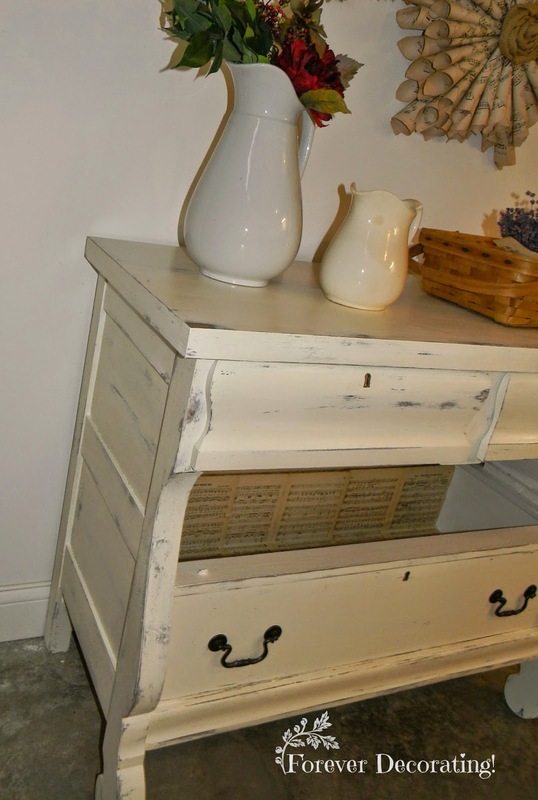 In the meantime, I asked them to search online to find a painted dresser that they liked. 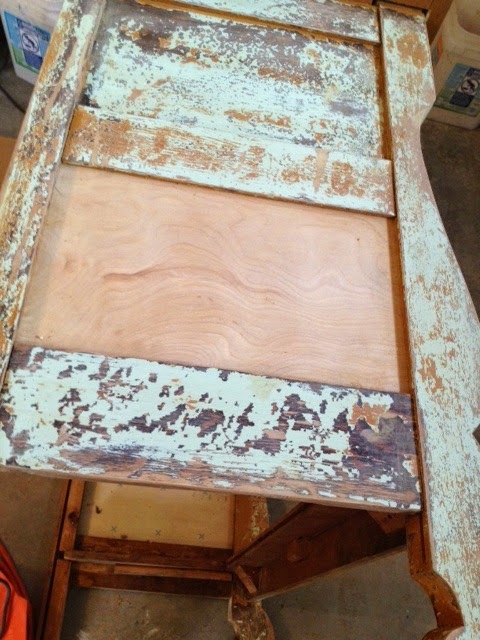 Of course, my Son wanted it stripped and stained, but that was not going to happen with all the various woods. This is what they found and I found the source to be, Shades of Blue Interiors...(Rachel is amazing at what she creates). I loved it and couldn't believe the similar lines between the two pieces. My DIL even said that she loved that hardware. Okay, I can do this. They had also decided that they wanted a drawer where the missing one was, instead of my suggestion of a shelf with baskets. They are having their local shop teacher make a drawer! I proceeded by painting everything black. 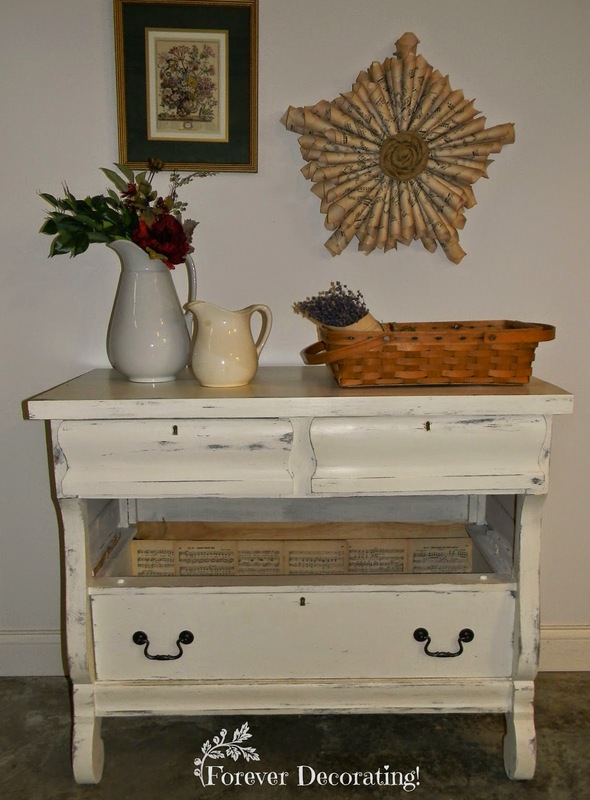 Then made my own version of Chalk Paint and painted it white. 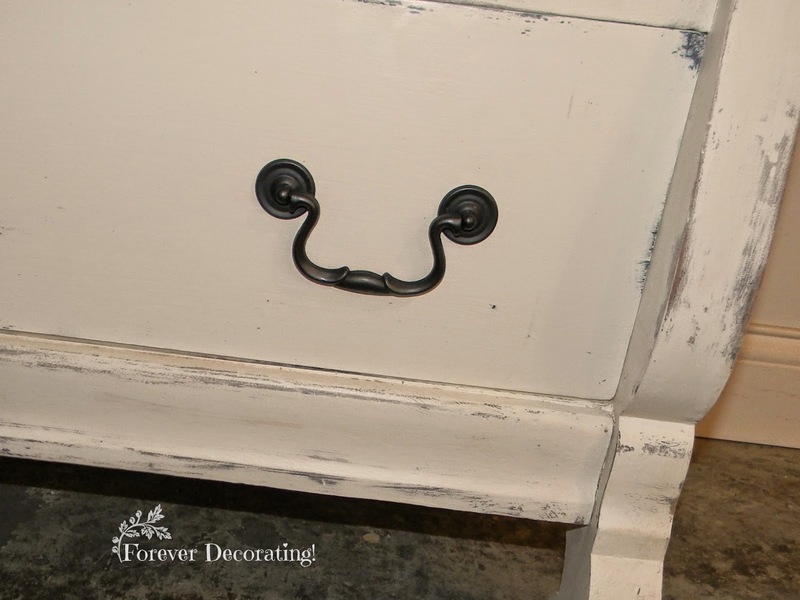 I needed the black so that when I distressed it, it would have the same type of undertone the inspiration dresser has. I admit, I didn't distress it a much as the inspiration dresser but that maybe because I was totally worn out by this time...ya think? Here she is in all her unfinished (missing drawer) Glory...so use your Imagination! I love how it turned out and even had the same items as in the inspiration picture to be able to surprise them with this shot. They live in Kansas and I live in Illinois! The sides painted out well with the new wood. I matched the hardware as close as possible. 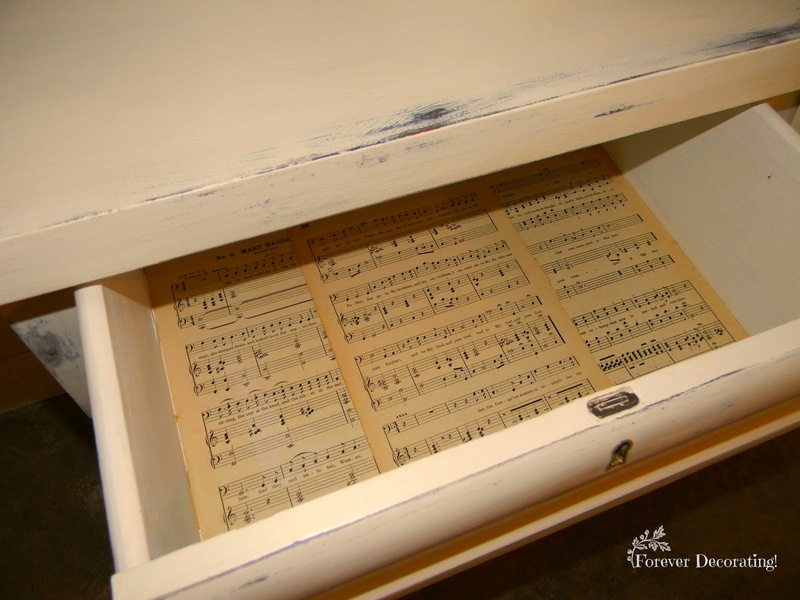 And I even decoupaged the inside bottom and back of each drawer. The upper drawers in the inspiration picture had some kind of glass looking knobs. The dresser that I redid has finger holds at the bottom of each of the upper drawers and they never had knobs or pulls, so I elected not to add any. Great job Terry! It looks like it was a labor of love and it turned out beautiful! Those empire dressers are hard to turn away aren't they? Keep it up! I love the dresser! You really did a lot of work and as you said it was a work of love. I don't think anyone else would have bothered to save this piece from the junk pile (or burn pit) but you did an amazing job! Good job Terry! 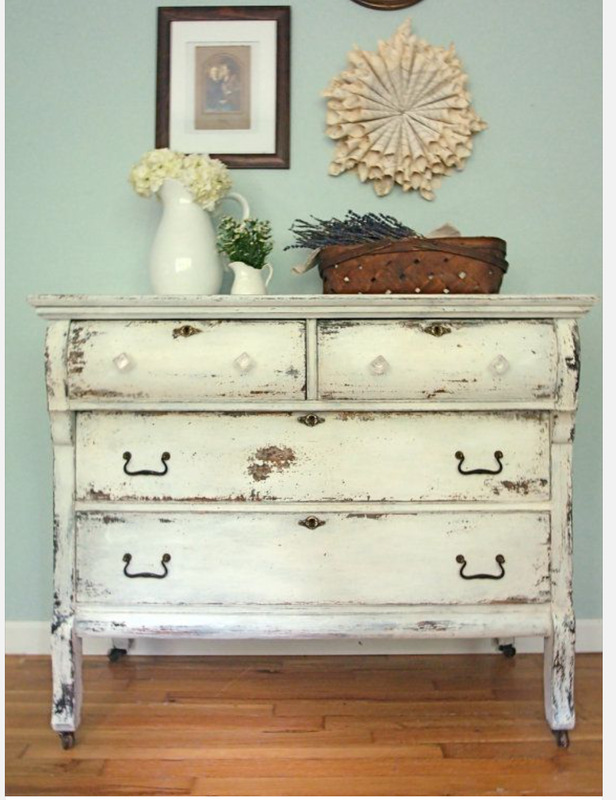 I'm just maAdly in love those old french empire dressers! AMAZING job Terry...I love the way it turned out!! Beautiful job on this - well done! 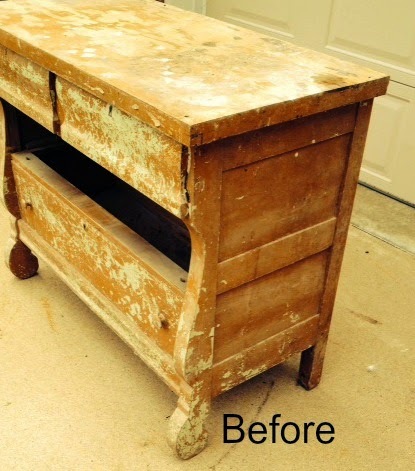 You are for sure a miracle worker, or a furniture whisperer! LOL You brought this one back from the grave! It looks amazing, kudos to you! Great job!! WOW! Talk about an amazing transformation. I hope you link this is up to the Outside The Box party happening right now on my blog :) My readers would love to see this inspiration! Fabulous job, Terry! Isn't it amazing how you can take a piece of junk and turn it into a show piece? Paint is amazing. 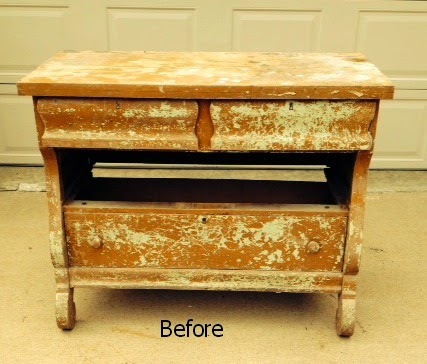 Until I started upcycling and refurbing, I would never have thought I could do such amazing transformations like this one. I think your idea of baskets was a good one. Be sure to post the final pic! Great job! It looks so lovely! Great job....you did save it from the fire pit! Looks great. Wow, that dresser was a hot mess! What a great save!